So you are new to Pinterest. Your account is new, too. Or you already spent some time on Pinterest but did not find success. Maybe you even got a couple of followers, but the number is so low, it is not really worth talking about that here. 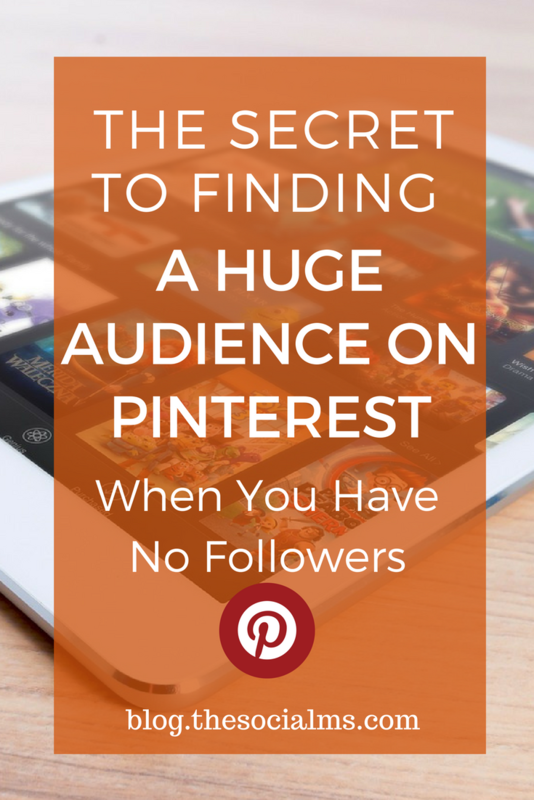 Now, imagine there is a way of pushing your pins in front of a huge audience for free! And I am absolutely not talking about advertising here. What I am talking about is group boards on Pinterest. Group boards on Pinterest are boards that have more than one contributor. Group boards can be used in many ways: For instance, brands can use them to have multiple employees share pins to the same boards. Or you can collaborate with another blogger or business partner on one board. But there are also open group boards, where a group of people has assembled that share interest in one topic and pin about this topic to the group board. A group board starts out with the followers of the one single person that created the board. But with each new contributor who was accepted to the board the reach of the board – and the number of followers to the board can grow. There are huge group boards out there with hundreds of thousands of followers and hundreds of contributors. Group boards give you the opportunity to get your pins in front of a larger audience. Even if you don’t have many followers, group boards give you the chance to pin to a lot more people: The followers of the group boards. And even if you already have some followers, group boards are the ultimate chance to get noticed by even more people and even find more followers. The first and most important thing is: Choose group boards that are on topic. There is not much use in sharing information for mums to a business-oriented board. That would not give you the results you are looking for. Choose boards around topics that are closely related to the content you pin – and pin matching content to the board. But that is not all there is that makes a group board a good group board. And it is also not as simple as looking at the number of followers. Because what you are really looking for are people to repin and click your pins and help you share the great content. Sometimes you get an invite to a group board without asking for it – but the far more common way is to simply ask the owner of the group board if you can join the board as a contributor. Before you do that, make sure that your account looks great and has good pins on great boards. Most group boards have a description that explains if they are still open to new contributors and how you can reach out to „apply“ to become a contributor. Note: Before you get in touch, you need to follow the group board and the group board owner. My name is MYNAME, and I blog about TOPIC at: YOURWEBSITE. I would love to join your group board “GROUP BOARD NAME” on Pinterest! This one is a little tricky – and I am sure you will come up with some more ideas for finding group boards than the ones I am mentioning here. But the following tips should give you some idea and provide you with some group boards you can consider. Many bloggers recommend using the tool PinGroupie, which is basically a directory of group boards. The problem with PinGroupie is that it looks as if the directory is no longer updated. A lot of the information is over a year old. Whatever groups you find, you have to check for yourself if they are still active, growing in the number of followers and still pinning about the topic mentioned on PinGroupie. NOTE: BoardBooster was shut down. The Pinterest scheduling tool BoardBooster also provides a list of group boards. In some categories, this list of group boards will give you awesome boards – in other niches the number of listed group boards is still rather small. But it is definitely worth to take a look. Many bloggers give lists of group boards you should join. I did not find these lists overly helpful. Either they list rather broad boards that or not really focused – and I don’t recommend to join tons of „post-everything“ boards. That is not going to give you the success you are looking for. In addition, many of the listed group boards are already overrun and closed to more contributors. One of the most efficient ways to find group boards from your niche is to look at the Pinterest accounts of competitors, business partners or influencers from your niche. If they already are successful on Pinterest the chances are high that they are contributing to a number of active group boards. In the list of boards of a pinner on Pinterest, you can quickly identify the group boards through the circle that depicts the group contributor. Group boards have more accounts listed in this circle. The owners of great group boards are also a great way to find more group boards – they are usually a contributor to other boards as well. Type the topic you want to pin about into the search box on Pinterest. You can even add „group board“ to the search term. Then choose „boards“ in the search results and browse through the results. Use above criteria to choose the best group boards and get in touch with the group board owner. How often should you pin to a group board? what does the board description say? If the rules allow you to pin often, you should still make sure that you are not the only person pinning to the group board. Pinterest group boards are the secret (or rather one of the main secrets) to Pinterest marketing success – without paying for advertising. If you don’t want to pay for an audience on Pinterest, have only a few followers and still want to reach a large audience and make your pins spread: You should consider joining some group board and be (very) active on them. It is an effort that is well invested! 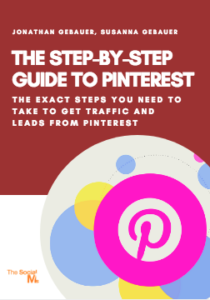 Are you looking for traffic from Pinterest but do not know where to start? Are you already pinning but somehow your efforts do not pay off?